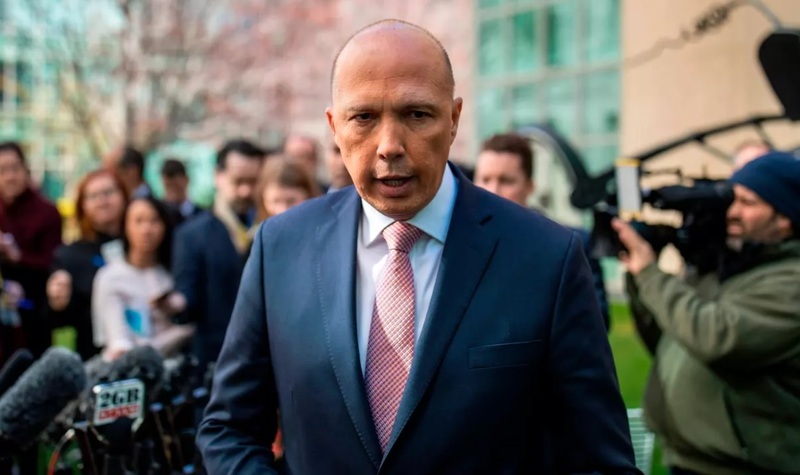 The offices of the home affairs department in Canberra have been left in shambles after the latest attack on Peter Dutton over the au pair visa saga. This follows a revelation concerning the granting of visas to au pairs by the minister. The Labor party sought to exhort their power to seize any documents or information as part of an Australian federal headquarters police raid at the Department of Home Affairs headquarters. The move left Dutton shocked and with no choice but to hand over any documentation taken as part of the raid. That is the price you pay as the Senate Clerk where it will be examined by a Senate committee to determine whether it extends the privileged guidelines. If it is determined to be privileged information, the documents will remain sealed and will not be allowed into the AFP investigation. But who determines if the documents are privileged? It is not clear which documents were seized in the raid, but one can assume it was likely a large amount since the Thursday morning raid of the Canberra headquarters. Investigators quietly left through a side entrance to avoid the media that had gathered at the main entrance. Officers were searching for personal devices and a workspace that could have been related to the possible leaks. Labor senator Louise Pratt warned department boss Mike Pezzullo that an AFP investigation would take place. Pratt said in a statement, "Parliamentary privilege is an incredibly important principle that enables the parliament to hold the government to account, and it must be respected. The matter has been accepted for investigation. The AFP has undertaken inquiries and conducted a number of activities in relation to this investigation." A spokesman told the Guardian, "My assessment is that the department did an internal IT audit and found some information … the AFP is executing a cooperative warrant to get the evidence to continue its investigation and prosecution." Dutton was nearly the target of a no-confidence motion in parliament after an opposition of a majority Senate inquiry. The Senate inquiry found that he misled the parliament about the issue. The Guardian Australia first revealed in August that the minister granted visas to a French au pair connected to the relatives of the AFL chief executive, Gillon McLachlan, presenting an obvious conflict of interest. The minister granted visas to a French au pair connected to the relatives and on March, 27, Greens MP Adam Bandt asked Dutton to rule out "any personal connection or any other relationship between you and the intended employer of either of the au pairs." Dutton replied, "The answer is yes." He insisted he had not had contact with the police for decades. "I wouldn’t have spoken to that individual for 20 years," Dutton said. Police confirmed, "The matter has been accepted for investigation. The AFP has undertaken inquiries and conducted a number of activities in relation to this investigation." Quaedvlieg working in Opposition Leader Bill Shorten's office said, "Unauthorised disclosures of confidential information can be criminal offenses and as such ought to be investigated expeditiously by the AFP." According to the Department's rigorous security procedures, the Secretary expected Federal Police to "establish… both the exfiltration of the information from our network, to whom it was exfiltrated and what, potentially, happened to it thereafter."